This reversible cutting board features plastic inserts at each of the four corners so that the board does not move while in use. 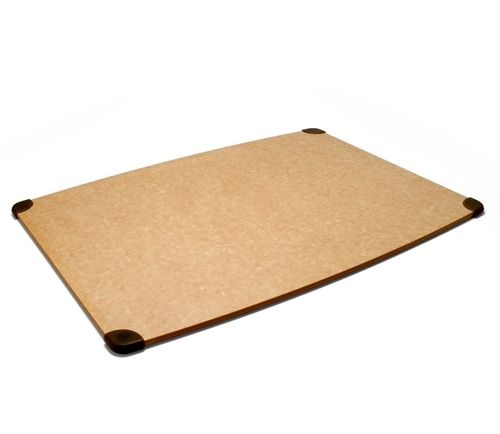 Epicurean cutting board is a commercial grade surface made from an environmentally friendly natural wood fiber that will last for years of use. The durable surface will not dull knives nor does it require oiling. Made in USA. Dishwasher safe.